"It would be great if we could get folks, Russians, some of these competitors to respond to our first move", the admiral said. Richardson also reportedly noted that the US would gain an advantage by "playing the white side of the board" and thus making the first move. It's unclear whether the Atlantic Council will take his suggestions into consideration. The council is a US think tank working for NATO and hosting a discussion platform for politicians, experts and members of the military. The admiral's words come amid an increasing US military presence in the Black Sea. 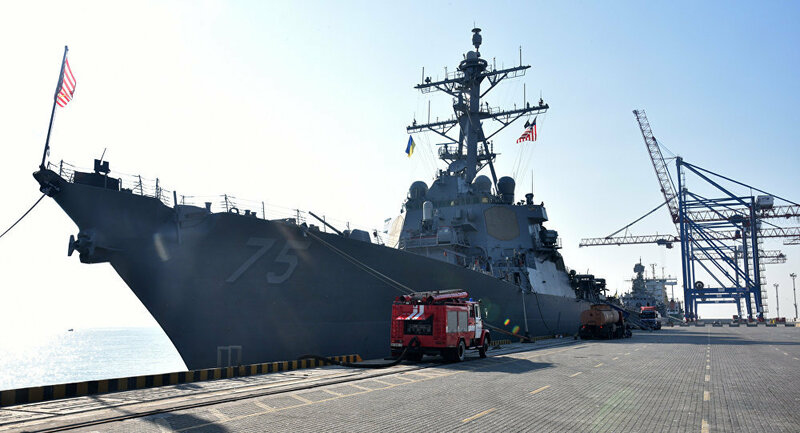 Following the Kerch incident between Russian and Ukrainian ships, Washington in January deployed the missile destroyer USS Donald Cook to the region. The Russian national defence control centre vowed to monitor the USS Donald Cook's movements and noted that Russian ships would act in a "professional" manner when interacting with their American counterpart. On 25 November 2018, three ships of the Ukrainian Navy breached the Russian maritime border, entered Russian territorial waters that were temporarily closed, and began moving toward the Kerch Strait, which serves as the entrance to the Azov Sea. The Ukrainian vessels were forcibly stopped by Russian ships, and their crew was detained by Russian authorities after failing to respond to a lawful demand to stop.